EXCLUSIVE! 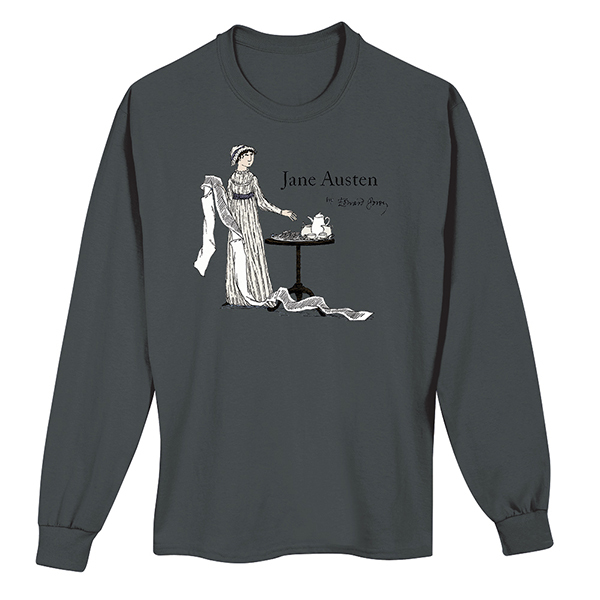 It is a truth universally acknowledged that Janeites and Gorey fans alike will adore this shirt. Gorey created his rarely-seen caricature of Jane-in-a-mood for a book called "Instant Lives" by Howard Moss, published in 1976. Charcoal ladies' scoopneck tee is 100% cotton. Sizes S-2X. Imported.